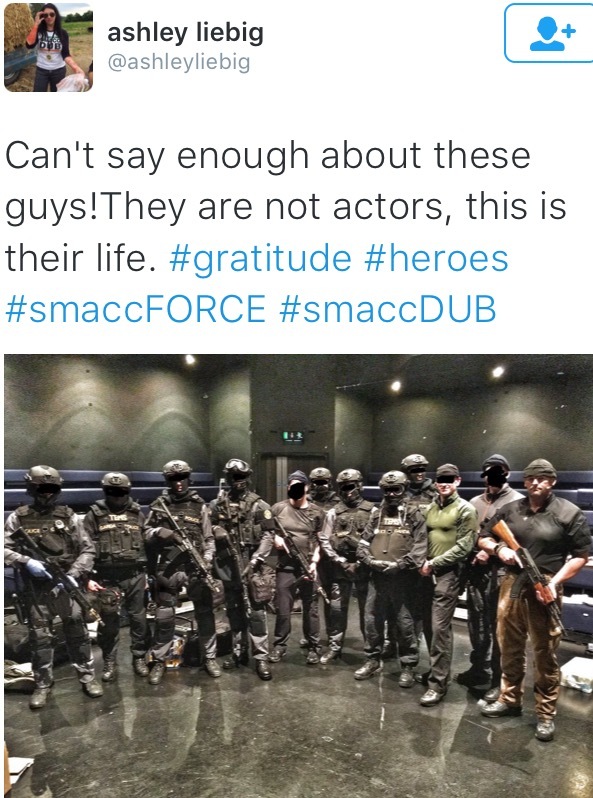 #smaccFORCE – You don’t have to be the best – just do your best! Two great simulations were done during the duration of the day. Wow great job guys! 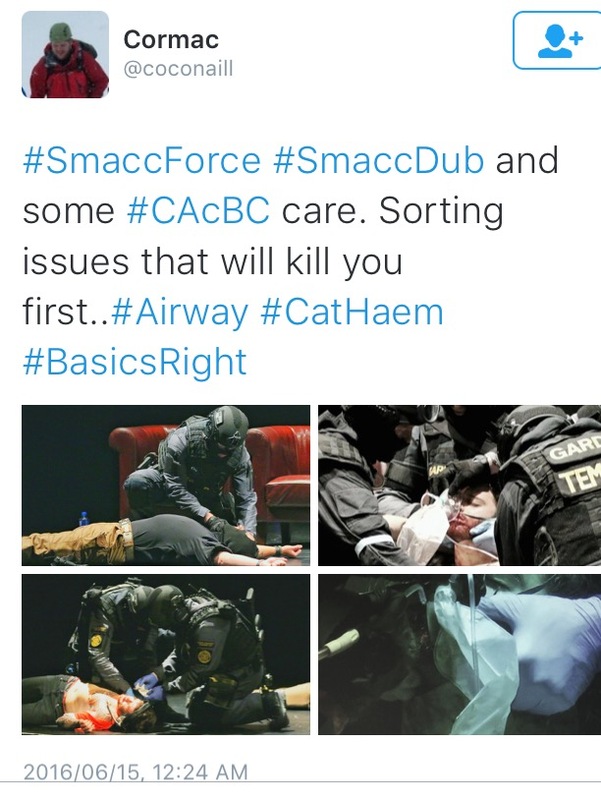 Simulation 1 – The active shooter scenario was depicted by the @ATACCfaculty. With a quick unexpected flashbang in the background followed by rapid AK47 gunfire & some good Emergency Response from both the local GARDA & medics, even I from South Africa was well impressed with the realism. This is a real problem for us in South Africa, with our prehospital works being exposed to violence on a daily basis. Check out our poster recently published at #ICEM2016 on how a local South African company is preparing their staff for this eventuality. Simulation 2 – Prehospital motorsport response is significantly different to what we do every day. 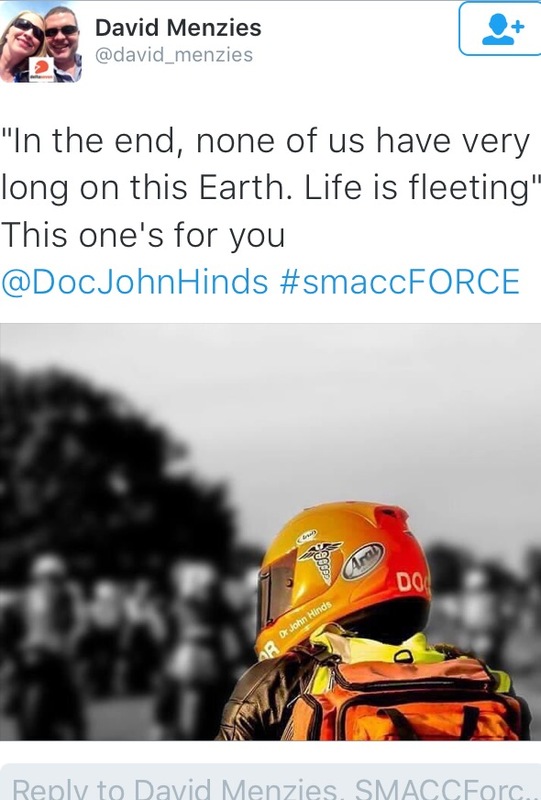 This was a passion for the late Doctor John Hinds, & this simulation was a real tribute to his days work. Mike had a “rant” on the importance of pain relief. Basically the take home point was if you are going to treat a patient make sure that the pain relief & sedation of the patient is adequately addressed. With scares resource in the LMIC this is a reality, we are often under-staffed with too little monitoring devices with very sick patients. Your detractors are your friends. – Understand what your critics are saying, listen to it & adjust your practice if appropriate. Be able to change your mind. – what we might believe in today might not be true tomorrow. Spending time in other specialties is where you learn. Do your best for every patient. – Don’t try & be the best, that is something else & will come naturally. Look at the past for the answers. – Learn from your & others’ past experiences. Even old literature might have very relevant answers. Understand that practitioners will make mistakes. – This will happen guide actions to the learning environment. If you get a thoracotomy cake for your birthday, your life is messed up. Use Social Media – we can disseminate information quickly. Ryan Wubben – @medflightdoc – Standards in HEMS – What standards? In the US a fee structure was introduced for private HEMS in 2002 with no provision for regulation. Since 2003 till 2014 the amount of private HEMS in the US has risen to over 1000. This is extremely relevant to the South African ground EMS system, where we have seen a large increase of private service with very little to no governance of these service. The question that one should ask is whether or not this potentially produces an unsafe environment for patient & practitioner. 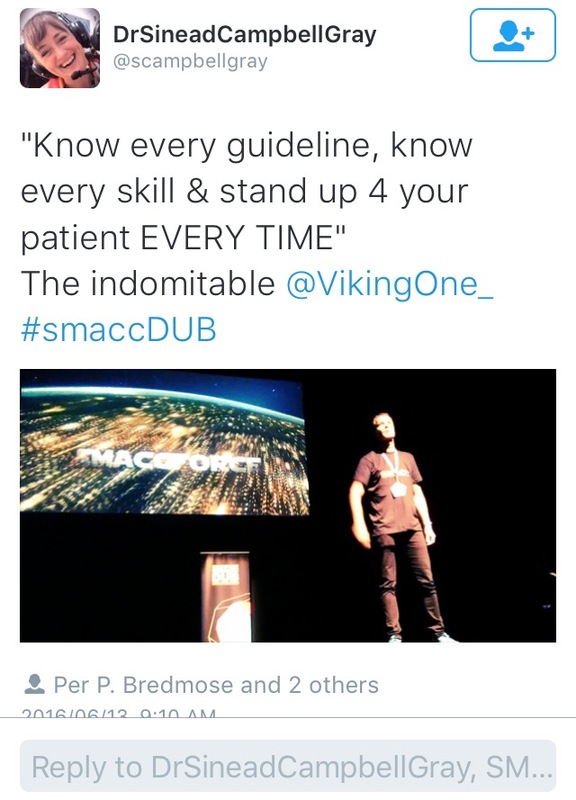 Per P Bredmose – @vikingone_ Advocating for your patient. An awesome ‘RANT’ by Per on the fact that we should be advocating for our patients. (Some of it in some crazyman language.) Practitioners should know protocols, guidelines & evidence to be able to fight the good fight for their patients. You can’t just take in-hospital research & apply it in the out-of-hospital setting. There are many factors that are unique to this setting such as; kit, diagnostic equipment & crew. Diseases in the out-of-hospital environment is evolving minute by minute. Asking the correct questions for the correct environment is key. Seek evidence where it is lacking & build up research networks in you environment. Lionel gave the crowd a quick rundown on ECMO. For the purposes of this summary I will just refer you to the blog post by: Chris Nickson from Life in the fast lane on ECMO. Most studies out there are observational studies. What we do know is even with scoop & run policy, EMS can still not get to hospital within 60min of cardiac standstill. France uses a mixed surgical & percutanous approach. As no surgical has higher rates of failure, but surgical needs surgeon involvement. Positive outcomes in 30% of patient, a further 30% of patients have agreed to organ donation. Take home point: “Select your patient, get to the patient in the correct time. Victoria has one of the largest cardiac arrest registries in the world. LUCUS2 was implemented for all patients in persistent VF. Patient were taken to cath lab or ECMO. Bottom line: If you don’t have ECMO don’t PANIC. I think this is important for us in the LMIC. If a first world country has tried this & with all its resources, short response times & integrated systems could not show significant benefit. Then we should probably be focusing our energy & limited financial layout somewhere else. 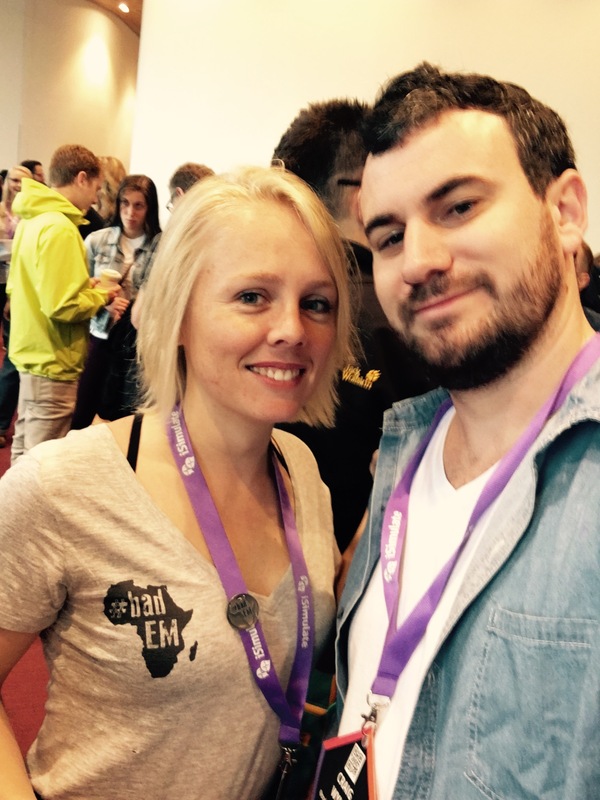 Gareth Grier – @uncgiggaz – What is an expert? That person that sees a call from a 10000foot view on what going on. When you start treating the extended patient. The person that are able to almost automate the routine technical stuff & more involve in the emotional involvement of the patient’s family. Do you have a clear plan about where you expertise will be. Remember you can’t be an expert in everything. Finally, if you want to be good at something, work out what that means for you!! Gareth Grier – @uncgiggaz – Who should we intubate? Each patient needs a well understood risk/benefit assessment. Has to be well governed system. Don’t be a cow-boy! Every patient with a low GCS does not need intubation. 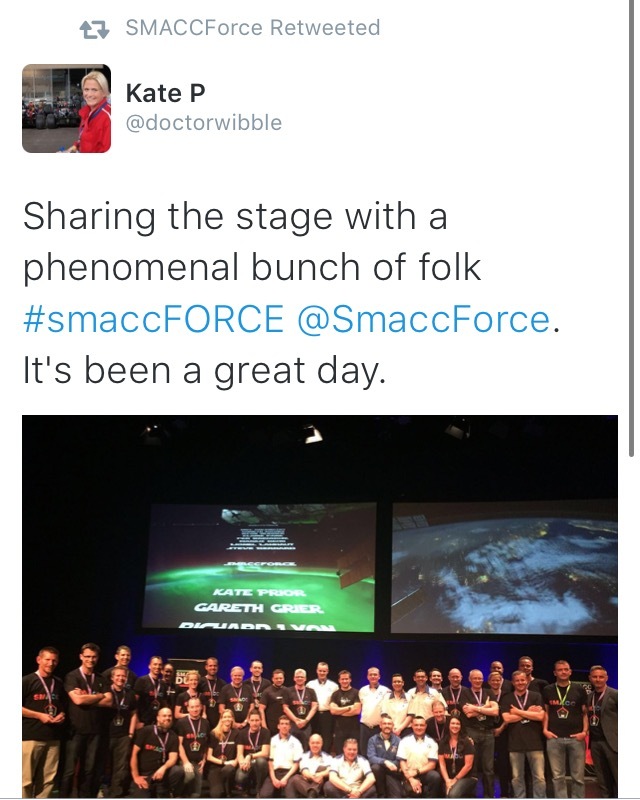 Kate Prior – @doctorwibble – Lessons from the battlefield. Haemostatic gauze – Celox gauze. Take your hospital to the patient with the correct staffing. “Train hard, fight easy.” Pre-training and rehearsal makes the job easier with a well trained team. Understand that you CANNOT safe every patient. LEARN YOUR LESSONS WELL – every patient will teach you something. Terrorism is not a natural or technological disaster. – It is a calculated precise attack on life to kill people. – There was one overlying comment during the discussion. – Cross training between law enforcement & medical staff is key. What happens when you are the victim? The Efficiency – Thoroughness – Trade Off is often referred to as scoop and run or stay and play. Should really be an risk/benefit assessment of what will make a difference in that circumstance at that time. We need our industry (the entire medical industry) to have a culture of not getting enough rest. WOW – this was a excellent and really touching talk, thank you MJ for mentioning the close to home case that I was involved in last week. We are responsible to change this…… Thank you for speaking up Dr John Roos. YOU ARE IN A BATTLE, WAKE UP, FIGHT BACK, AND GO TO SLEEP. Remember: Speak to believers & non-believers. Can you recruit the patient’s lungs before intubation? Sepsis is a time depending issue, early intervention is key! There are some confusion on the criteria to use for diagnoses of sepsis. ETCO2 as a surrogate of lactate in sepsis? Natalie, I am truly impressed. You have have gone out of your way to apply & move halfway across the world to just learn something new. Well-done & you have the respect of a lot of us by this kind of commitment. I cannot explain your post better than you have so I will merely paste your post here. Well done, you are an inspiration to the rest of us!!! James Tooley – @jamestooley – The challenges in prehospital management of sick kids. Use a cognitive aid for your drug dosages, you don’t have to remember it. Treat Paediatrics as well as adults. Train to prevent your emotions to influence your treatment. 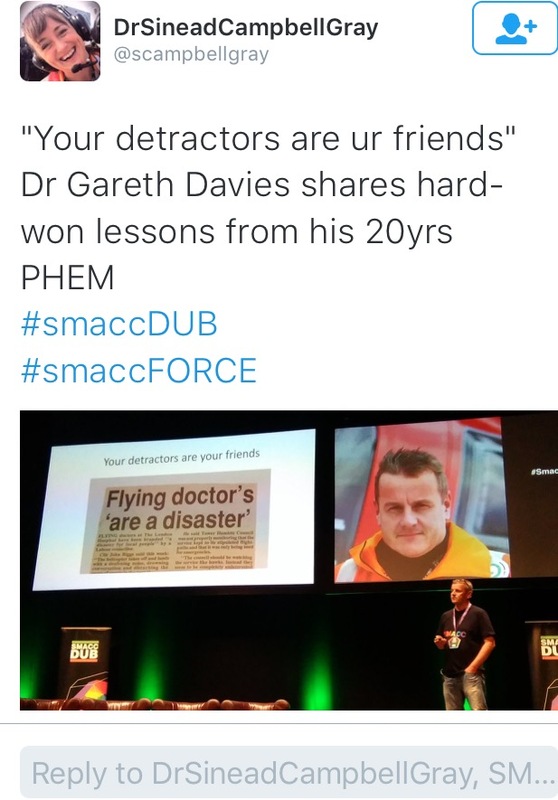 #smaccFORCE was truly a inspiration & I would encourage all out-of-hospital practitioners to attend this workshop in future.